it’s not yours until it’s you make it your own. 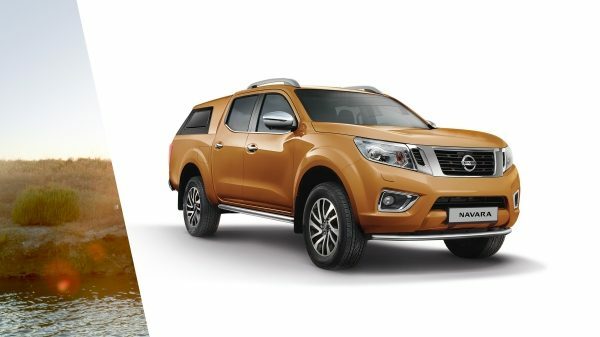 Work hard, play hard, Navara's wide range accessories makes every job and weekend getaway better. 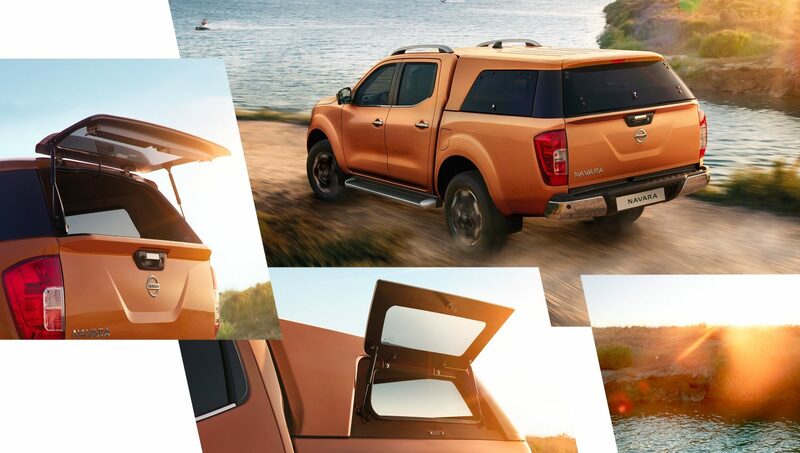 Work hard and look great with a hard top designed exclusively for Navara's rugged lines. 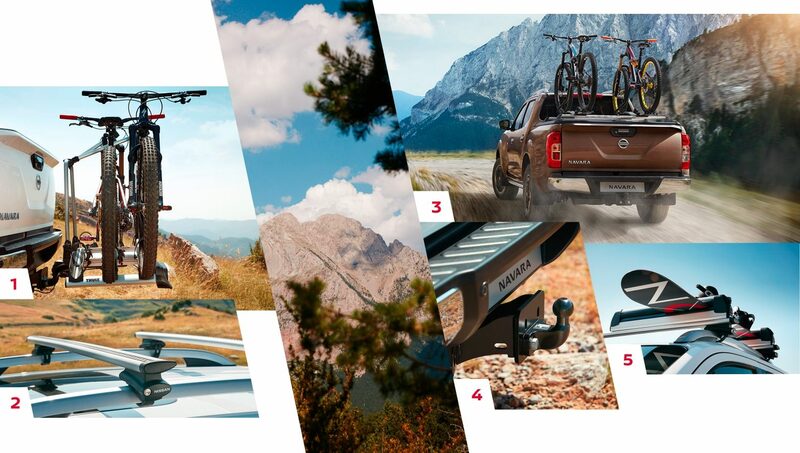 It's a must-have for any adventure. 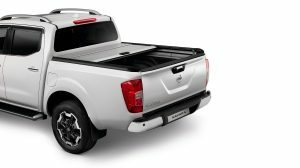 Pair your Navara with a tough and stylish hardtop. 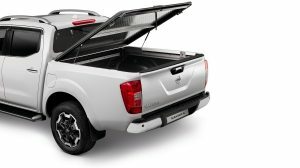 The standard version comes with central locking on opening rear door and integrated stop lamp. 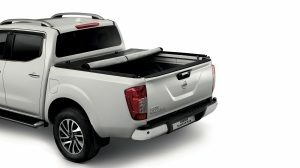 The premium version adds interior lighting, bespoke fabric interior lining and opening side windows for on the move ventilation. 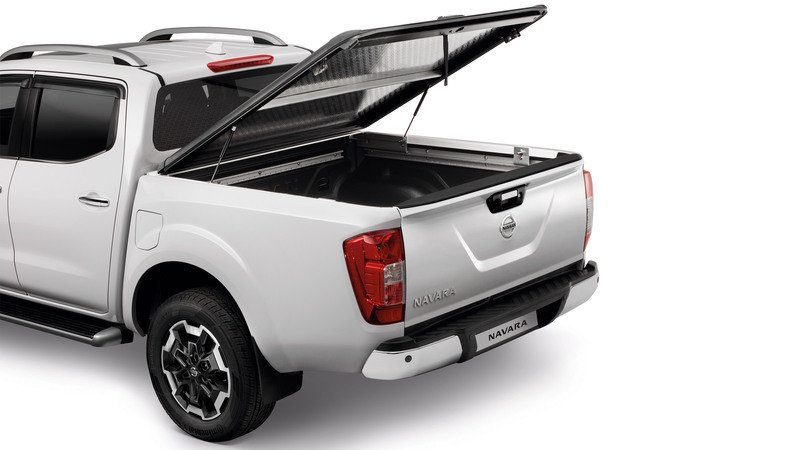 Enhance your Navara’s versatility with comfort and convenience. 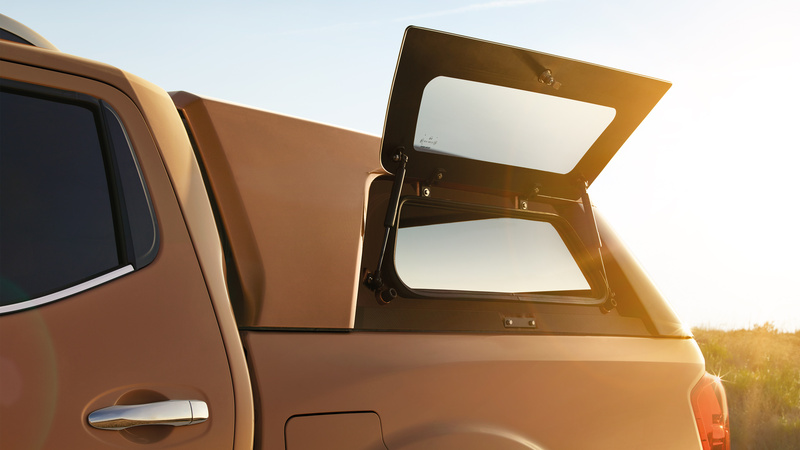 Weather proof with interior lighting and central locking, its finished interior matches your vehicle’s upscale design. 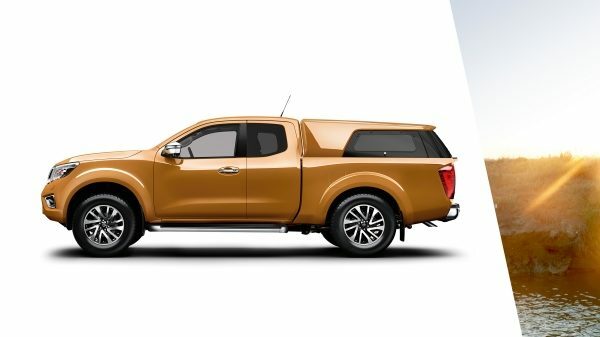 Available in the vehicle’s body colour, it complements your Navara’s design. 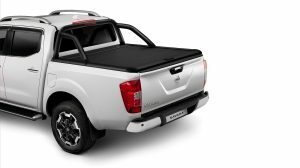 Use your Navara to its full potential with a rugged bedliner. 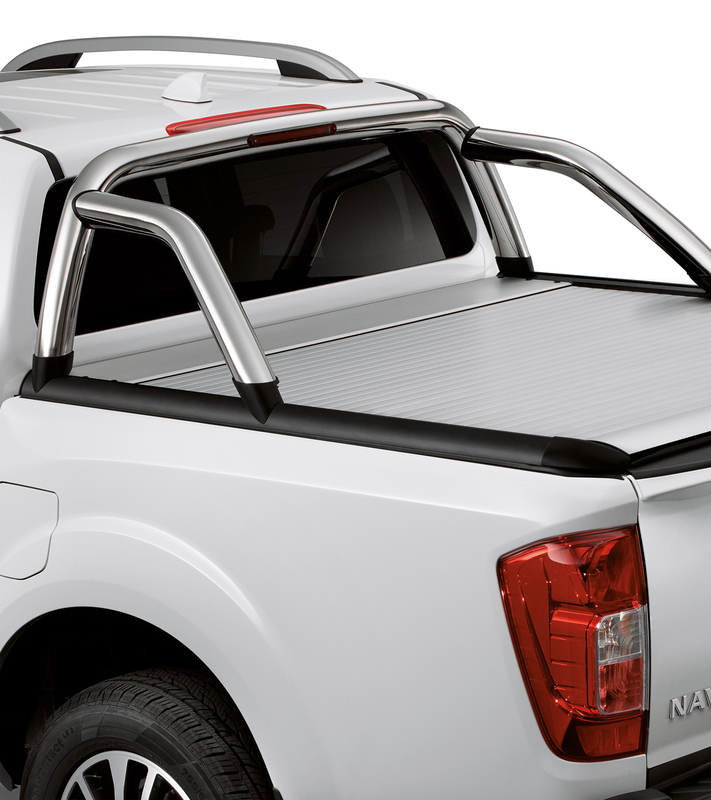 Available in plastic or aluminium, it protects the bed, tailgate and bed top edges. 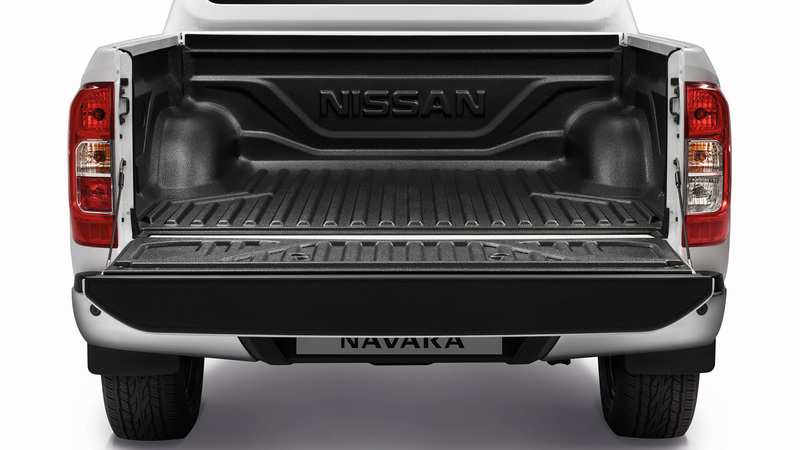 The grippy surface provides loading traction and helps reduce sliding around. Protect your gear from the elements and unwanted attention. 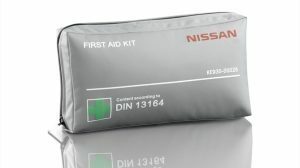 Choose aluminium, roll cover, or soft version. 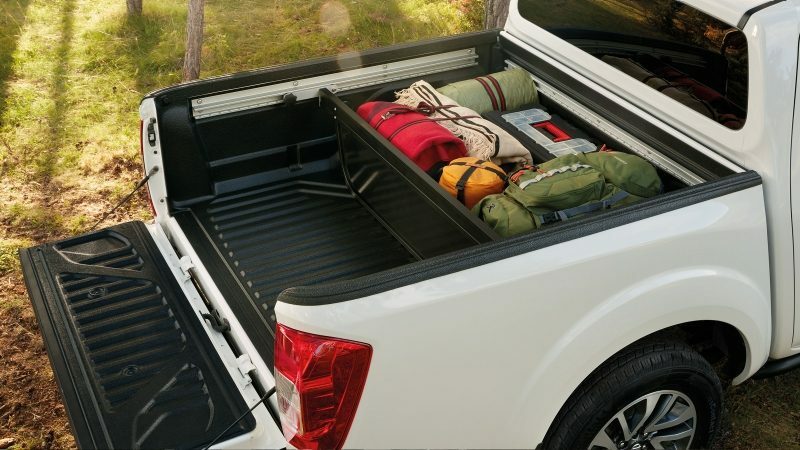 A place for everything and easy access when you need it. 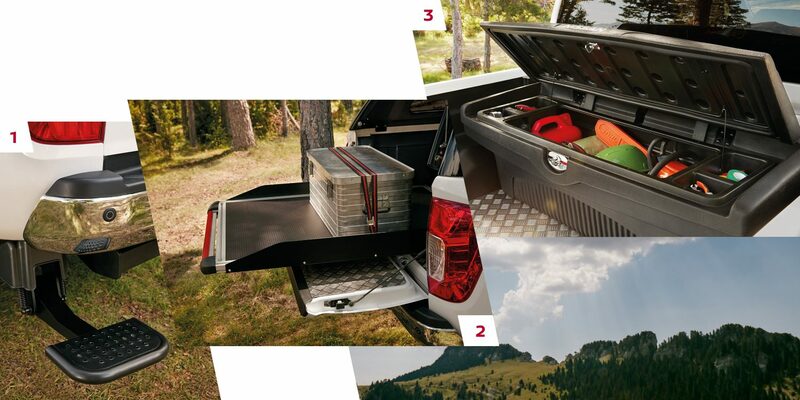 A fully integrated sliding tray, bed divider, tool box and a sturdy metallic step, make a smart and easy way to get the most out of your Navara. Make a bold statement wherever you go. 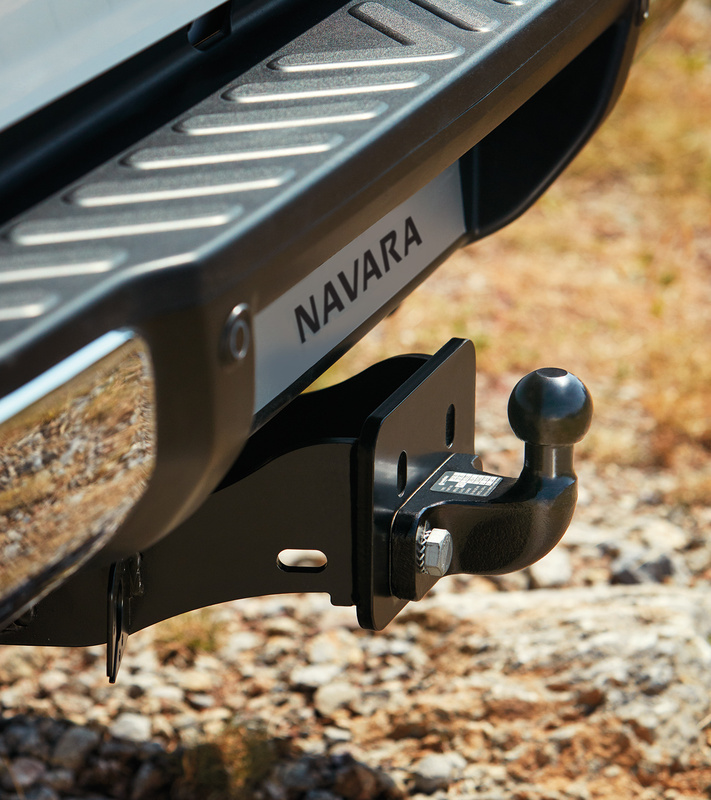 Choose your styling bars with a tough-looking black finish, or an eye-catching chrome. 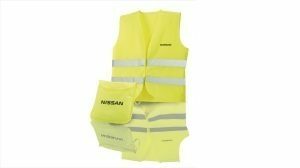 After a day on the job site or playing in the dirt – you'll look great. Accessories to make an impression. 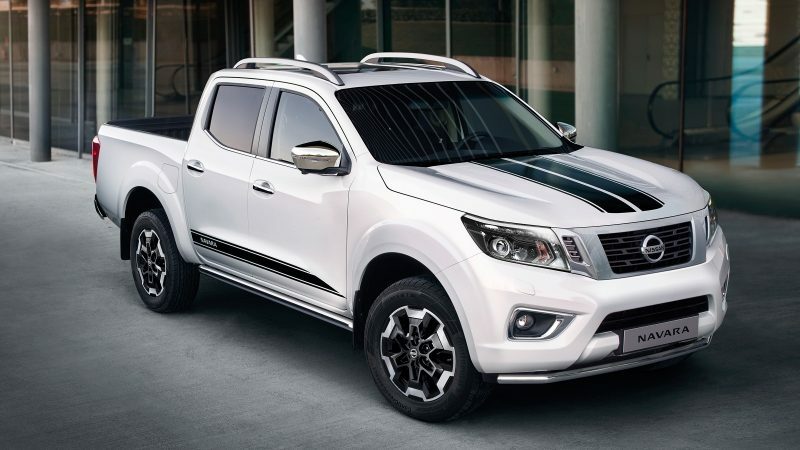 Complete your look with a selection of sporty and styling accessories, including shiny chrome and dark black finishers, aluminium entry guards and a snazzy shark antenna. Weekend getaway? Be sure to bring the toys. 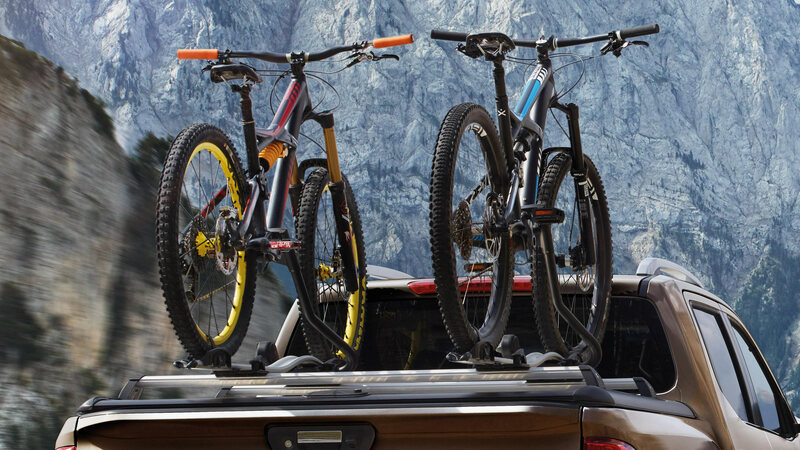 Choose a towbar: fixed, or designed to carry your bikes. 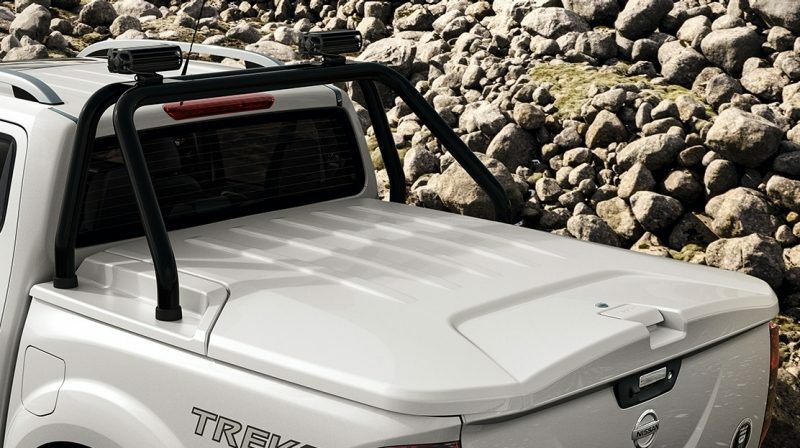 Versatile crossbars with an attachment to carry skis, or a luxury bike carrier that leaves you easy access to the bed. 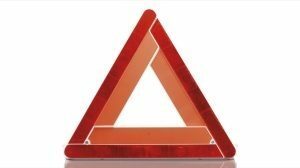 You might never want to go home. Want to see more? 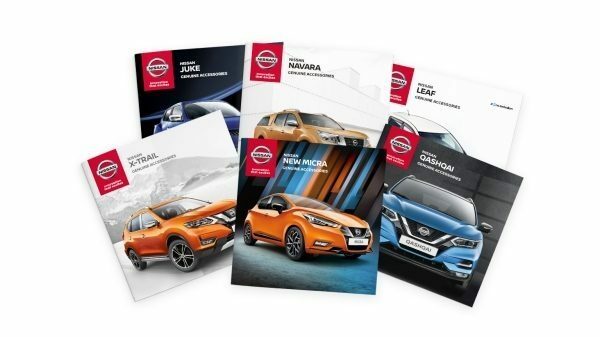 Download the full brochure and design your Nissan NAVARA signature now. 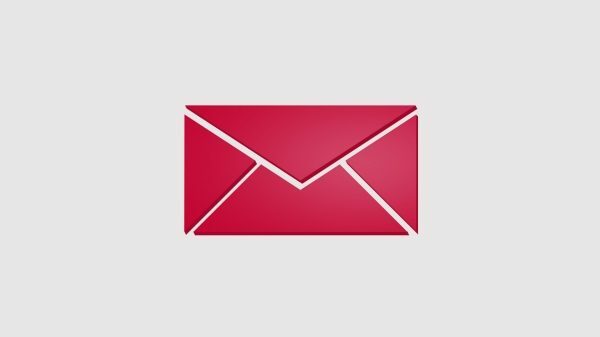 Accessories illustrated on this page are subject to availability. While stocks last. 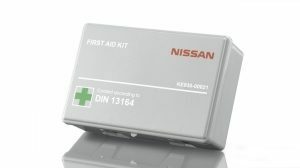 Please speak to your local dealer for more information.